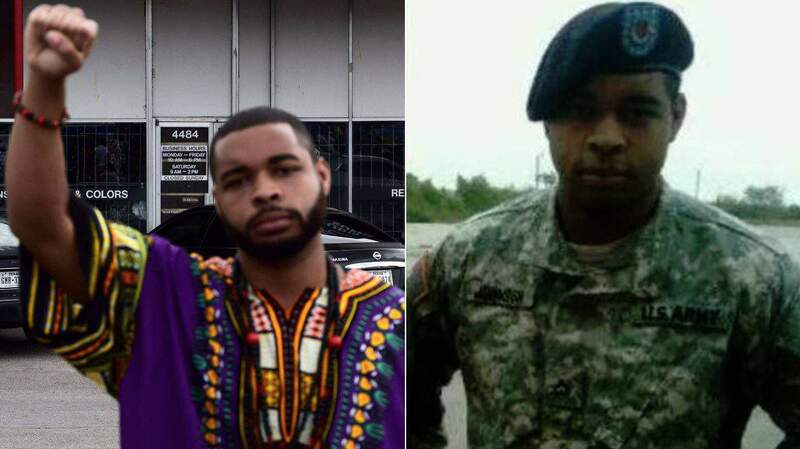 Micah Xavier Johnson, the man identified by police as the sniper who shot 12 law enforcement officers at a protest in Dallas last night, was a fan of black separatist hate groups monitored by the Southern Poverty Law Center. 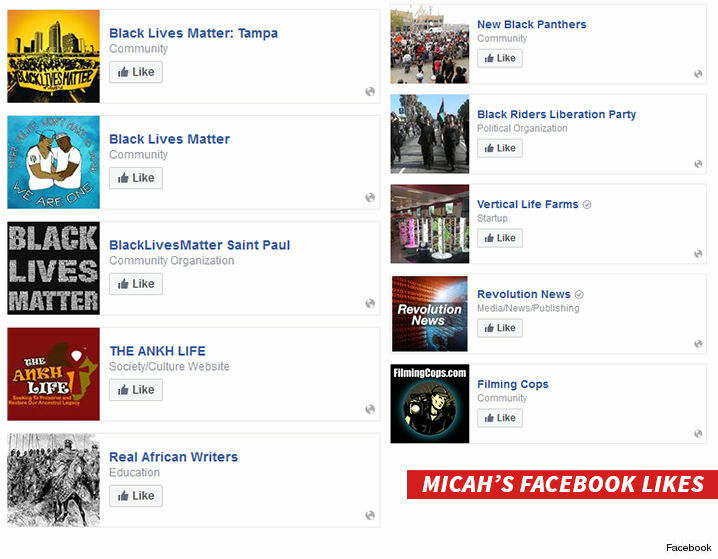 A screen grab of some of the groups Micah X. Johnson liked on Facebook. Johnson liked on Facebook the New Black Panther Party (NBPP), the Nation of Islam and the Black Riders Liberation Party, all listed by the SPLC as hate groups. NBPP was formed in Dallas, and its leaders have long expressed virulently anti-white and anti-Semitic opinions. Its leaders have blamed Jews for the 9/11 terrorist attacks and for the slave trade. The late former party chairman Khalid Abdul Muhammad once said, "There are no good crackers, and if you find one, kill him before he changes." A document on the NBPP website titled "The Nationalist Manifesto" claims that white men have a secret plan to commit genocide against the non-white races. It also refers to black people who condone mixed-race relationships as the "modern day Custodians [sic] of Uncle Tom's Cabin." Johnson, a former U.S. Army soldier, also liked the page for Elijah Mohammed, the founder of the Nation of Islam (NOI). The SPLC has listed NOI as a hate group since the late 1990s. Like the NBPP, NOI is known for virulent anti-Semitism as well as anti-white hatred. In 2006, NOI leader Louis Farrakhan said, "These false Jews promote the filth of Hollywood that is seeding the American people and the people of the world and bringing you down in moral strength. … It's the wicked Jews, the false Jews, that are promoting lesbianism, homosexuality. It's the wicked Jews, false Jews, that make it a crime for you to preach the word of God, then they call you homophobic!" The shooting occurred during a peaceful protest after the fatal shootings of black men in St. Paul, Minn. and Baton Rouge, La. "[Johnson] said he was upset about the recent police shootings," said Dallas Police Chief David O. Brown during a news conference on Friday. "The suspect said he was upset at white people. The suspect stated he wanted to kill white people, especially white officers."